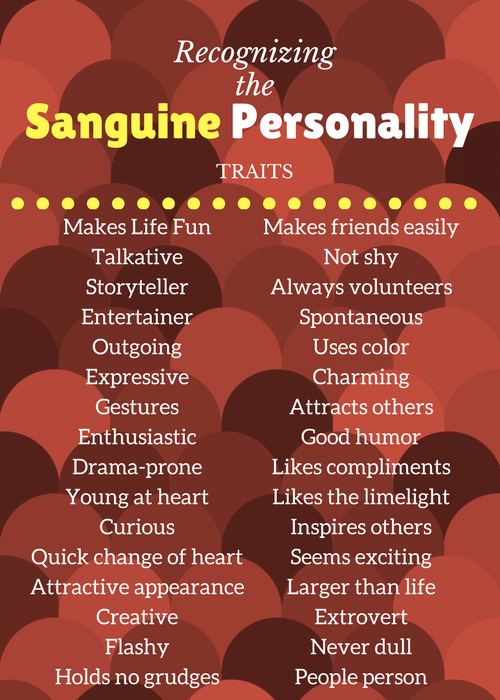 Sanguine – the Fun personalityAs a Sanguine personality, one of the 4 temperament types, you will be very interested to know what makes you and others tick! What is Sanguine and what is not Sanguine can be determined by this simple online test. The test takes about 5 minutes, and when you return here, this post will give you greater insight into traits of the exciting Sanguine personality. If you are one of the other types, you will find links at the bottom of this post for detailed information on your type. Sanguine’s are always EXTROVERT. 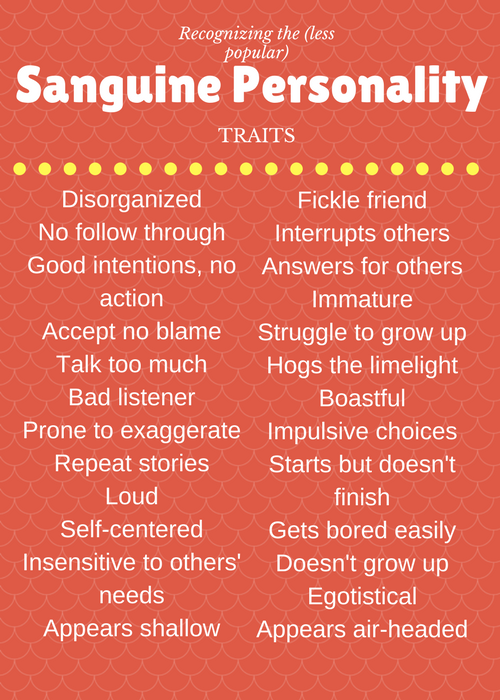 If you are not an extrovert personality, your primary temperament will not be Sanguine. This is the most outgoing of all 4 personality types! Talkativeness: if you love to talk and take every opportunity to do so (even if there is not a natural opportunity you will find a way:)), you are most likely a Sanguine. You talk loudly and lots! You also have a great story-telling ability and a sense of humor. Optimism: you may be described as having a bubbly, cheerful personality. Your enthusiasm is infectious and your energy inspires others. You are the persona who makes friends easily with everyone in the room, and you are naturally curious. Emotional: you are openly emotional, crying in movies; when happy or sad and you’re not scared of showing emotion, even flashes of temper. Your temper is quickly over though, once you have had your say, and you quickly forget the infringement that caused your anger. 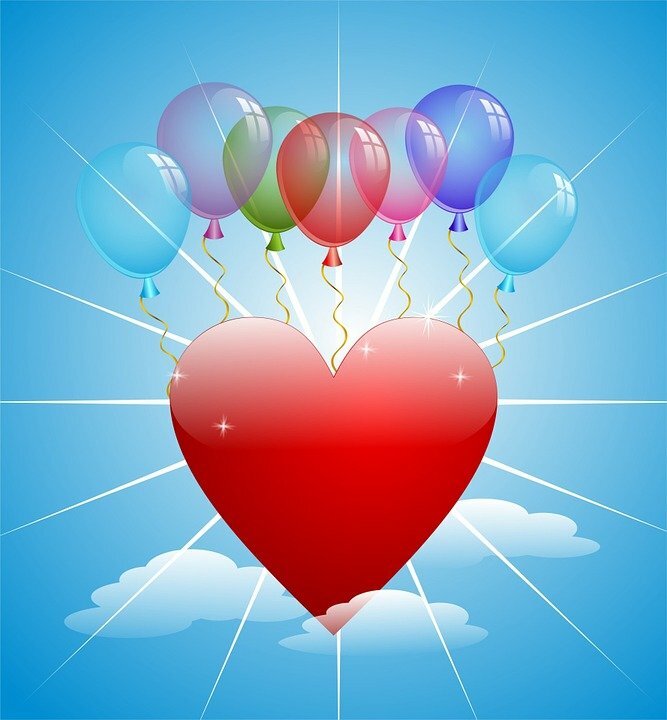 Affectionate and demonstrative: as much as you show emotion, you also show affection, holding onto people, hugging and often being perceived as a flirt! You can be a diva, and often are talented in the dramatic arts. Charming and spontaneous: you live in the moment, not a great one for fussing much with future plans. You have a disarming charm about you which attracts people to you. You are the charismatic person that shines brightly, especially with an audience, and you exude youthfulness and innocence, regardless of your real age! You bring fun to any situation. You are the enthusiastic cheerleader, brimming over with optimism. You attract others with your personality. 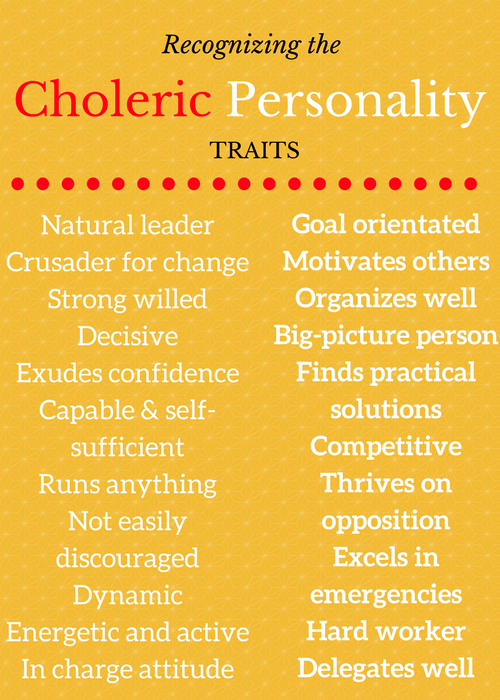 You have a “BIG” personality, depending on how high your score for Sanguine traits is compared to the other types. You inspire others with your creative ideas and charm. You appear younger than your years, with an inquisitive childlike quality. You are a popular party guest, usually found telling your exciting stories surrounded by others. You are the first to volunteer when volunteers are sought. You normally are well-groomed and attractive in appearance. Because your life seems so exciting (and you strive to make it so), your personality type is the one that quieter types wish they were more like. 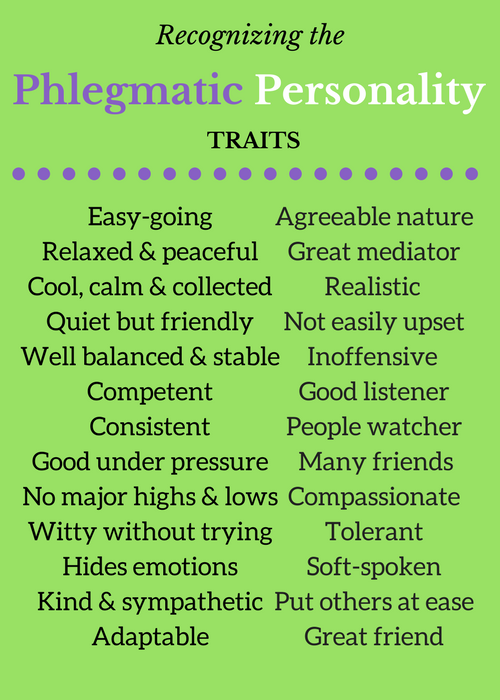 You are the least likely to wish that you were another personality type! Your drive in life is to LIVE LIFE WHILST HAVING AS MUCH FUN AS POSSIBLE! Often, sanguine children were the little prince and princess in the home, the endearing child that everyone indulged. You were used to getting your own way, and truth be told, that’s what you’ve expected your whole life. You were likely a bossy child, telling others what to do. You will have participated in many activities as a child and teenager, because it was an opportunity to be around others and be noticed. If you had sporting ability, you would’ve played many sports, been a cheerleader or participated in dancing or band. You excelled at any public-speaking or drama opportunities, and because of your natural story-telling abilities, others enjoyed having you speak. You played the lead roles on stage, what else? You probably had many friends due to your sparkling personality, and maybe even developed a fandom of followers. You went to lots of parties because everyone wanted you there, as the “life and soul of the party” you ensured that no one was bored! Probably you were the one who started “clubs” as a child, as when there was nothing much happening, you’d make stuff up! Always up for any fun activities or new experiences, as a teen you may have made some less than rational choices which got you into trouble. What a minute…there’s BAD stuff? About me? Never! You have an inability to take yourself seriously, or to accept the blame for anything. You really don’t accept that you have any faults, which in itself is a fault…it makes you seem bossy and act superior, which others will dislike you for. You are easily bored, which can translate into no perseverance and no follow-through. Always starting, never finishing. This can apply to work projects and relationships, which means that you struggle to accomplish anything worthwhile. It is possible to talk TOO much. Yes really! Sometimes you don’t notice the glazed look coming over the eyes of your victims…eh, audience, as you repeat your exaggerated story once again. Yep, you do tend to repeat stories, with embellishments, you talk over others and don’t listen to their opinions. Other’s cannot get a word in! You can also be boastful. You don’t pay attention to detail, or to anything that is not interesting to you, or fun. Consequently, you may forget where you parked your car, forget to pay the bills and forget people’s names. This makes your life appear disorganized and you appear immature and flaky. This fits in with your youthful and innocent persona, the perpetual fairy princess or Peter Pan, but your lack of attention here will lead you to problems. 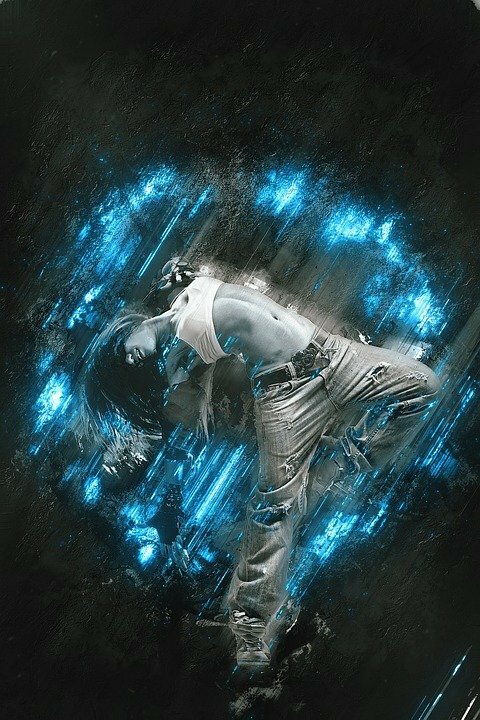 The world needs the vitality of the Sanguine! You have so many great assets which cannot be ignored. Now that you know that just maybe there are a few traits which could be improved upon, it is up to you to dig in and do the work. You will gain amazing benefits as you organize your life, listen to others and talk a little less! Live LARGE, Sanguine friends! Do you identify as a Sanguine (or can see it in others in your life?). 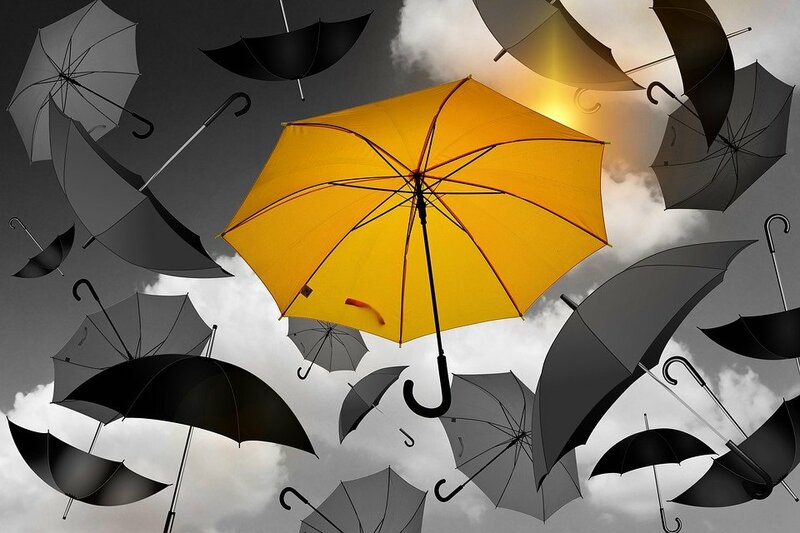 What do you see as the greatest strengths and weakness of this personality type? Watch out for the blog series on the other 3 personality types. 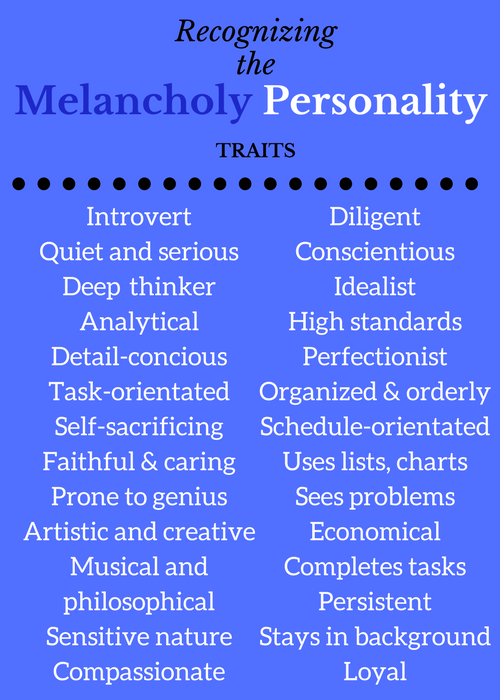 If you are Choleric, here is the low-down for you; Melancholy peeps click here, and Phlegmatics, this is for you! « Your Choice of Dignified or Daring this Summer with the Best Swimsuits for Older Women!